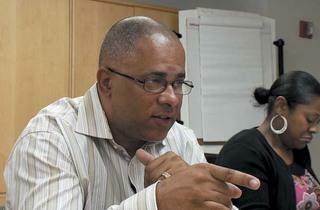 The city taps Hardiman’s anti-violence organization to help quell recent spikes in shootings and homicides. As the mercury has risen, so too has the body count. Headlines from the past few weekends paint a heart-wrenching portrait of the South and West Sides: 54 shot, ten dead; 39 shot, seven fatally. Desperate to stop the bloodshed, the city is deploying specialized undercover units to trouble spots and adding an overtime incentive for officers who work in crime-ridden districts. Mayor Emanuel has also initiated an unlikely alliance between the Chicago Police Department and CeaseFire, chipping in funds so the anti-violence group can expand to parts of North Lawndale, Roseland and Woodlawn. At a June 12 breakfast forum, Police Supt. Garry McCarthy said he’s “not a big fan” of the UIC-based organization, featured in last year’s documentary The Interrupters. Meanwhile, CeaseFire, which employs former gang members to mediate conflicts and prevent reprisals, has labored to appear outside the law-enforcement establishment to keep its ’hood pass intact. 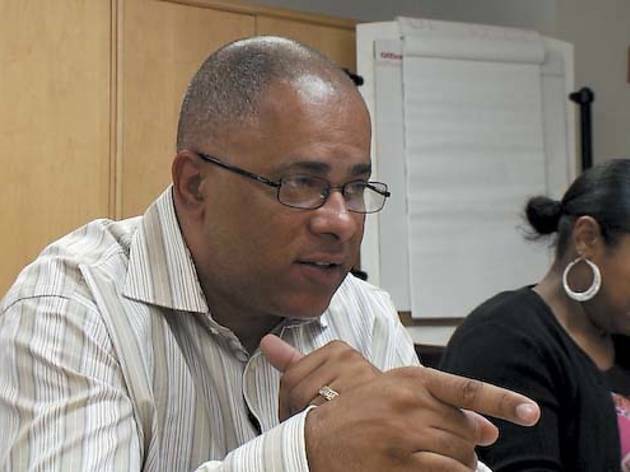 CPD spokeswoman Melissa Stratton didn’t reply to our requests to discuss the partnership, but CeaseFire director Tio Hardiman gave us the lowdown on the developing collaboration and the recent spike in violence. What are CeaseFire’s workers reporting back to you about why there’s been an upsurge in shootings and homicides lately? There’s a systemic issue where some African-American youth just don’t know how to deal with petty interpersonal conflict. Any slight issue turns deadly. People get into petty disputes, then they call their relatives who may be gang affiliated and it escalates into a gang-related type of incident. Revenge is in the air at all-time high levels, because people want to avenge the death of their comrades. So violence breaks out like an infectious disease. In some of these poverty-stricken neighborhoods, you’ve got a 52 percent unemployment rate, and an idle mind is the devil’s workshop. Guys in these crime-ridden communities go to sleep thinking about who they’re going to hurt the next day. It’s not just a gang problem. Right. People would rather believe it’s just gangs, but it’s deeper. We just had Shakaki Asphy, a 16-year-old girl, killed in Englewood on Saturday [June 16]. She was actually a CeaseFire volunteer in Englewood. That wasn’t gang related. If everything were a gang problem, we’d go to the gang leaders. But we don’t have the traditional gang leaders of the past. What we’re seeing is the emergence of a lot of cliques, anywhere from 10 to 30 members carving out their own territory in parts of the city where you’re seeing upticks in violence. These cliques form apart from larger gangs because a lot of guys don’t want to take orders. So you have all this strife between these small street factions. More groups equals more chances for conflict? Exactly. Each clique is trying to position itself. And small groups tend to sweat the small stuff. Right. Instead of fighting over a neighborhood, they fight over one corner. What else is causing gangs to fracture? Most recently, word came down to the streets about this new state RICO law [which Gov. Pat Quinn signed June 11 to bolster prosecution of street gang leadership]. Guys on the street are paying heed. So, many guys are not willing to call the shots. They’d rather be in a small, tight-knit clique. Is it disheartening to hear Supt. McCarthy say he’s “not a big fan” of CeaseFire? There’s no time to point fingers. I understand the skepticism; we’re new to McCarthy and he has to see we can get the job done. We’re able to get in there, intercept whispers and talk to the people involved. You’re not going to stop this [violence] by parachuting in. You’ve got to have boots on the ground to prevent someone from shooting. If we can keep a guy from going to the penitentiary or the cemetery, that’s our role. Police and CeaseFire are trying to quash this year’s increase in violent crime as compared to the same period last year. Stats through June 19.